At Fluff, we're obsessed with all things hair! While watching the SAG Awards, we noticed the return to old Hollywood glam paired with femme fatale bombshell waves swept to the side. 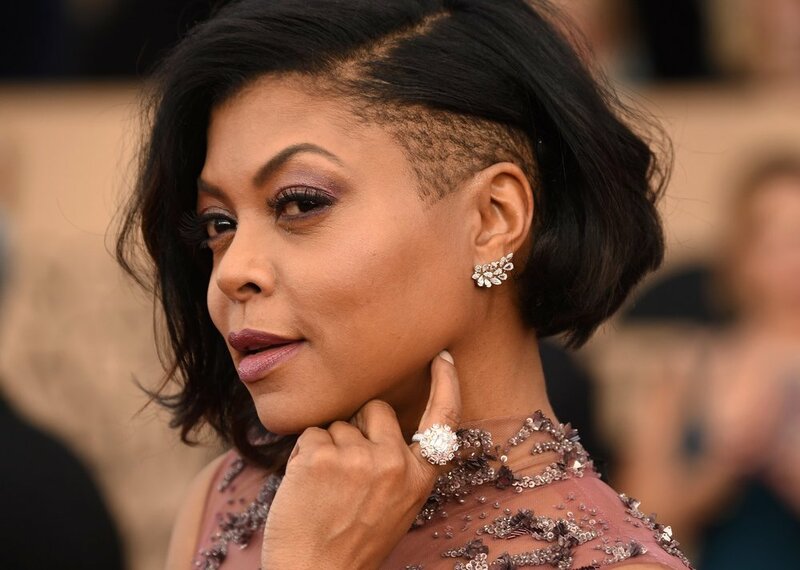 From a dazzling way to show off some ear candy, to an edgy way to show off a bomb undercut á la Taraji (we show you how here!) the modern ways to wear this look has it feeling anything but retro. Check out our gallery for some style inspiration and let us tell you the easiest way to get this look! 1. Start with freshly shampooed hair. Use a dime size of Indique French Argan Oil and blow-dry hair. It is best to add products when the hair is damp to maximize absorption into the cuticle to lock in the shine. Shine Spray to give it natural, red-carpet shine. 2. Create a deep-side part on right and begin curling your hair to the left of the part. Wrap a two-inch section of hair under and around the barrel of a 1.5-inch curling iron. This technique curls the hair away from your face, drawing attention to your face. Once you've unraveled your hair from the iron, let it cool in a velcro roller. This helps the hair keep its shape longer. 2. Switch up your curl pattern. After you've curled the first section of hair under the iron, twist each section of your hair using a curling wand to create a wave and hold for a few sections. Remember to place each section of hair under velcro curlers to cool. 3. Take out all the rollers and gently separate your curls with your fingers. 4. Lightly brush your curls with a paddle brush sprayed with hairspray. 5. Insert no-crease clips into the parts of your hair that jut inward along your face. Like you saw on Solange for A Seat at the Table. Keep these flat clips in while you loosely curl the rest of your hair, do your makeup, and get dressed. Leaving the clips in until you're ready trains your hair to stay in the "S" curve all night long. 6. Before you head out the door, take your clips out, pull all your hair over your left shoulder, securing it with bobby pins in the back, and spray your hair with a flexible-hold hairspray. For extra body, add Indique's Pure Wavy to give you that full, wavy, sultry look.